What is The Great Preschool Expo? It's a FREE one-stop for all things related to preschoolers & kids! There will be 15+ local preschools, kid-friendly businesses & much more! What is the history of the Great Preschool Expo? MOMS Club of San Dimas is one of two local chapters of MOMS Club International, a non-profit organization that focuses on the needs of ALL moms (stay-at-home, working, students, etc.). As part of our mission, the club raises funds to support local charities that support children and mothers. In 2018, club members were discussing how hard it was to find a good preschool...for different reasons: time, resources, or just not able to visit more than 1 or 2 preschools with kids in tow. Some members were overwhelmed and could only imagine how difficult the process was for working parents! So...as both a service project and a fundraiser for the local community, The Great Preschool Expo was created! How are registration funds used? 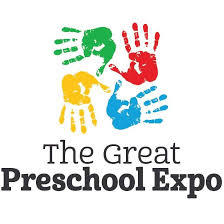 The Great Preschool Expo is put together 100% on volunteered time from club membership. After event expenses, which the club strives to keep under 10%, all monies raised from registration fees are donated to local non-profit organizations. How does the event help local preschools? Parents come out to "shop" for preschool and enrichment programs in one location which helps these preschools and businesses promote their programs, fill vacancies and share their scope of work & philosophies. Learn more at The Great Preschool Expo Facebook page.